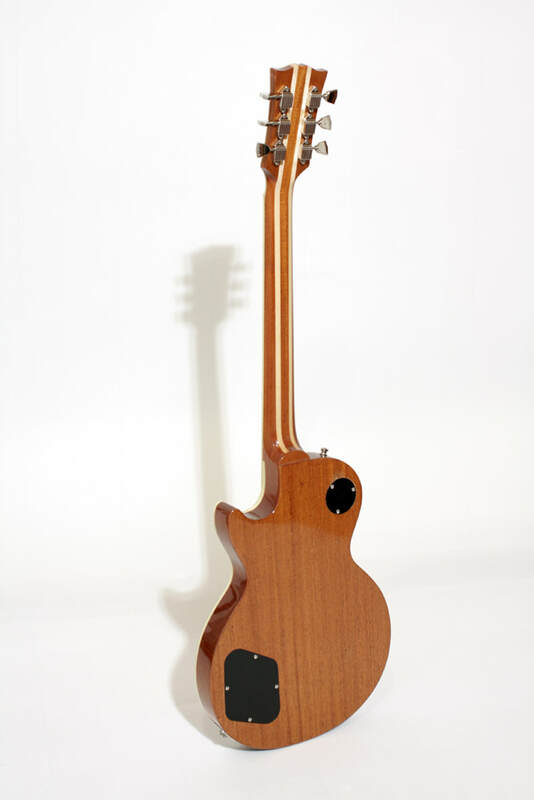 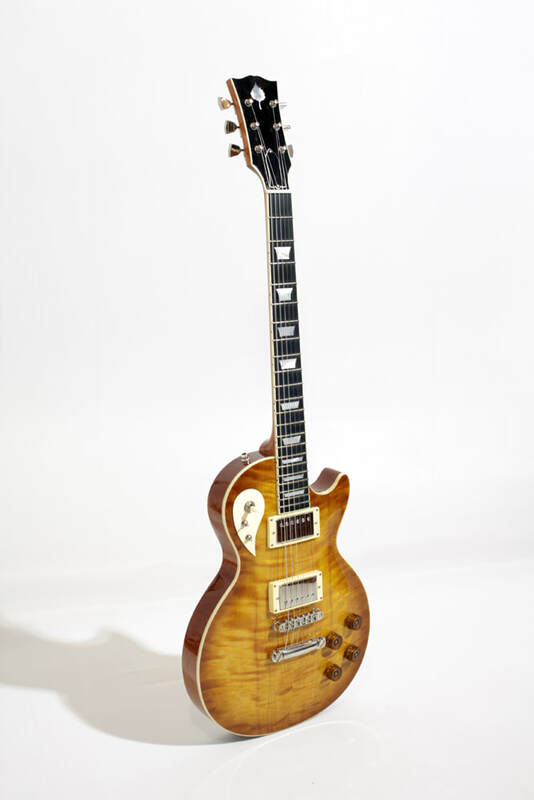 This Les Paul has a mahogany body with a striking flame birch top. 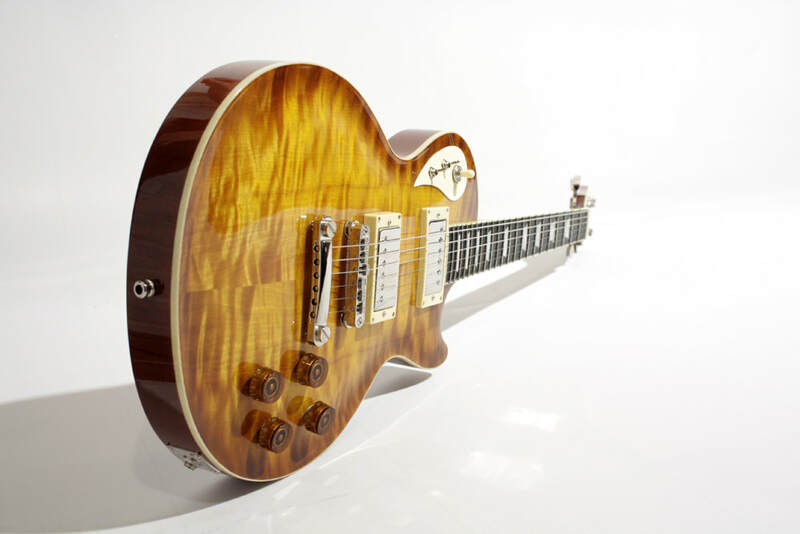 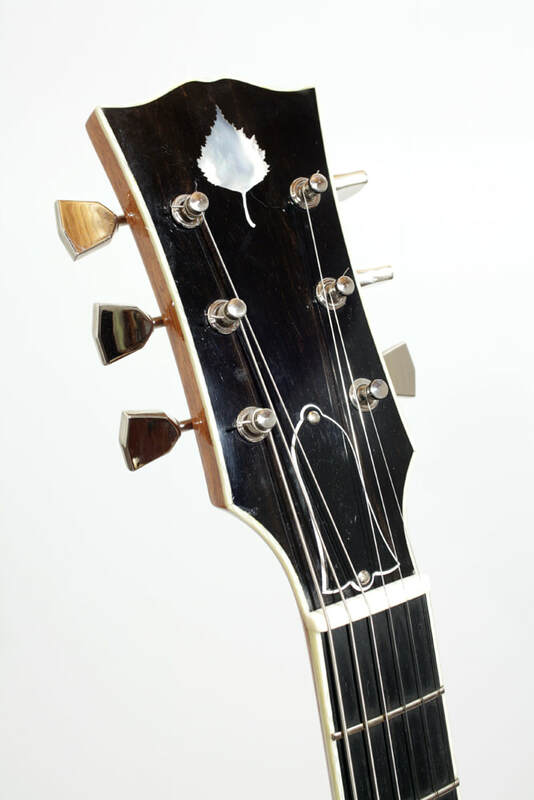 The five-piece laminated set neck is made of mahogany and maple and is covered with an ebony fretboard and headstock veneer. 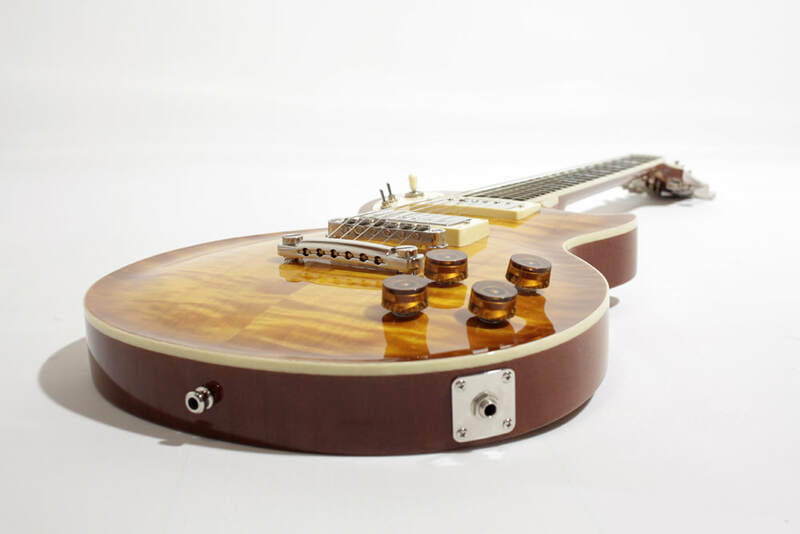 The pickups are hand wound and wired up with mini toggle switches to enable coil splitting and series/parallel wiring.